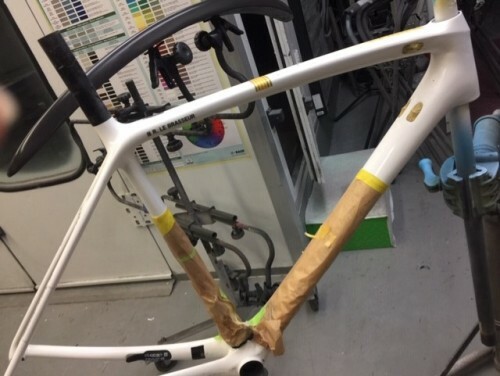 12,485 carbon bike frames, and wheels repaired. 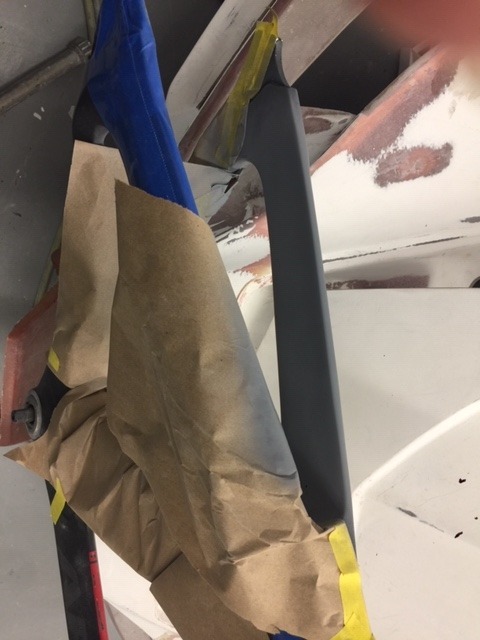 10,956 carbon motorcycle fairings repaired. 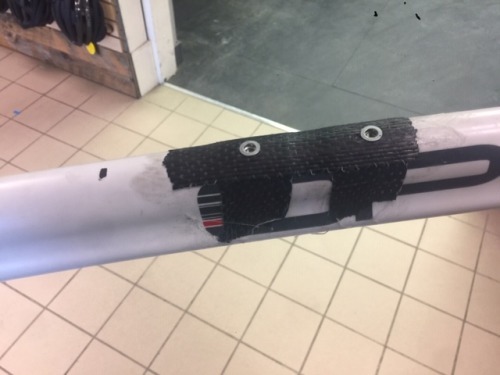 7,252 carbon marine parts and luxury yacht repairs. 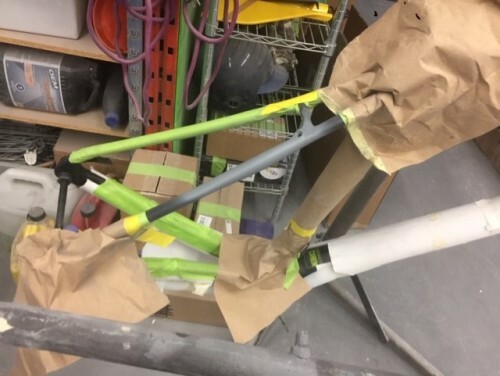 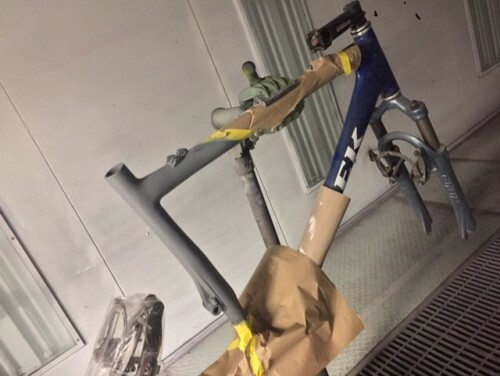 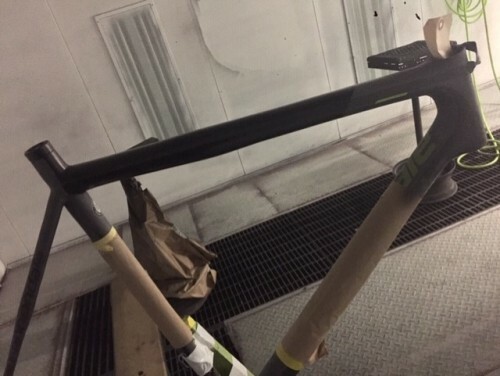 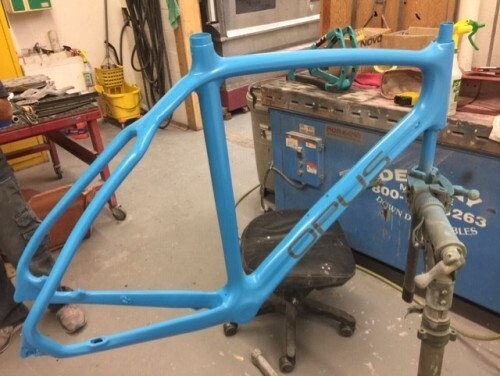 We are the industry leader of carbon repair throughout North America and we also offer complete custom paint projects on all bike frames both metal and carbon from simple paint, powder coating, hydro-graphic print to air brush processes. 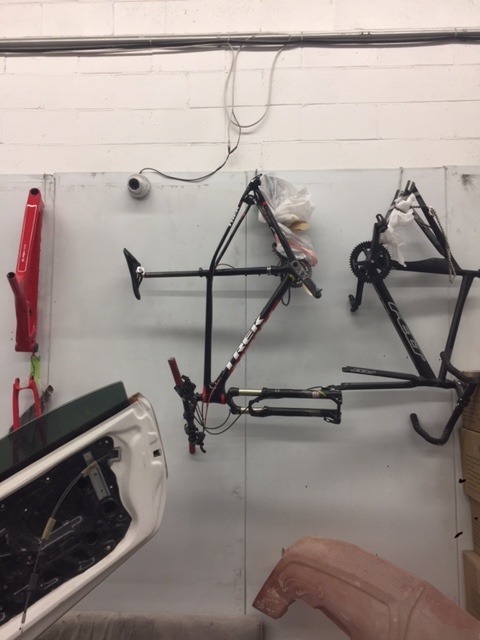 We offer complete turn key solutions as well, for we will strip, build and tune your bike. 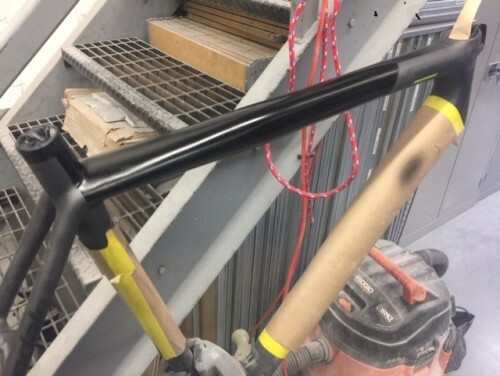 We at CarbonWork Provide Comprehensive Testing and Repair Services on all carbon repairs throughout North America with the latest state of the art test equipment certified to ASTM Standards. 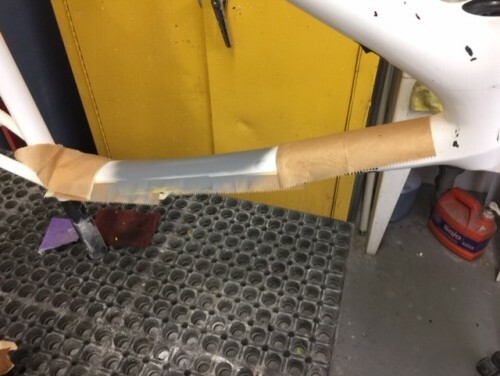 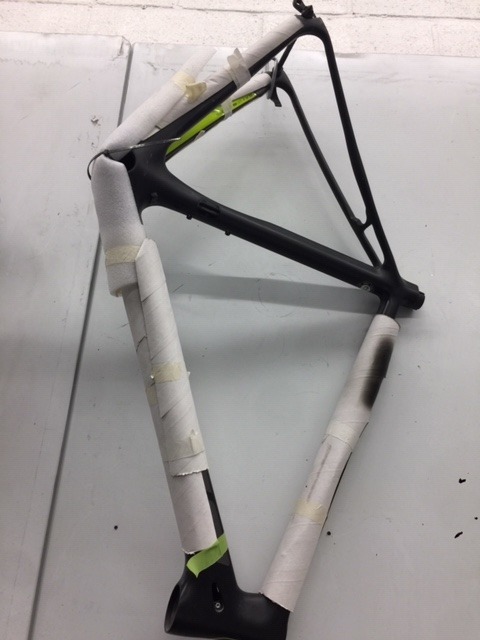 We provide Full Electrical NDT Testing on all carbon frames and forks with test set up pictures, and full test reports emailed to all of our clients. 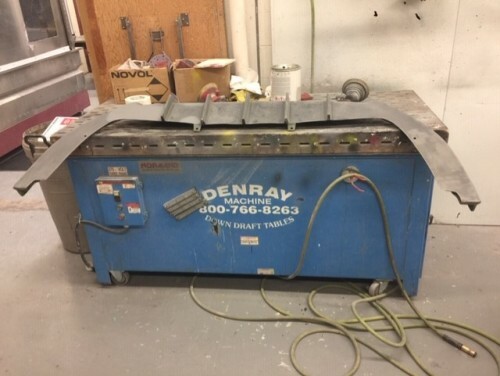 This comprehensive and scientific test report details the extent of the damage, and the exact repair method. 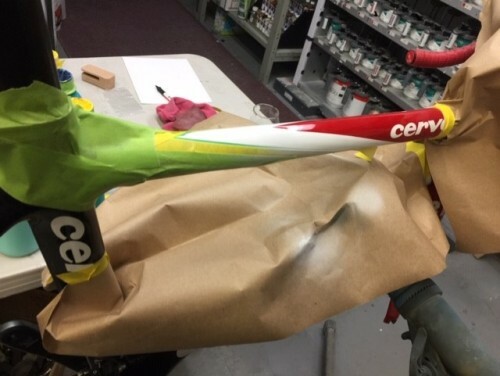 This testing that only CarbonWork provides as a service, is used for major insurance claims for our clients throughout North America. 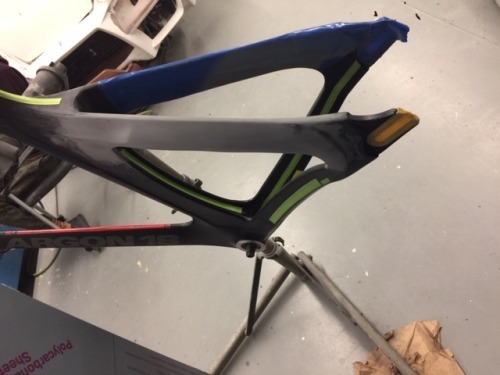 Good Science and Engineering Testing Services are essential for the development of our improved epoxy formulations and carbon fiber layout process. 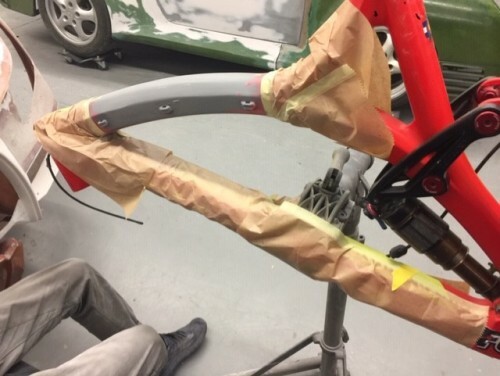 This helps us constantly improve our repair methods for our clients no matter the industry. 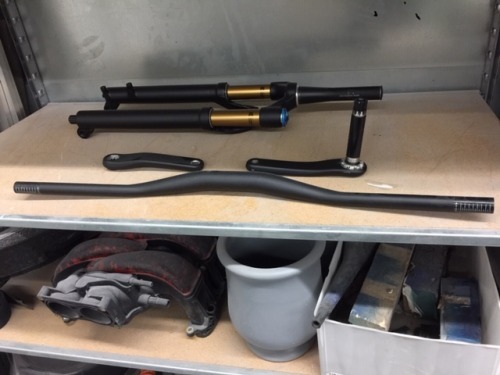 Our carbon composite team perform testing to both the Electrical NDT testing as well as a battery of standard ASTM Tests. 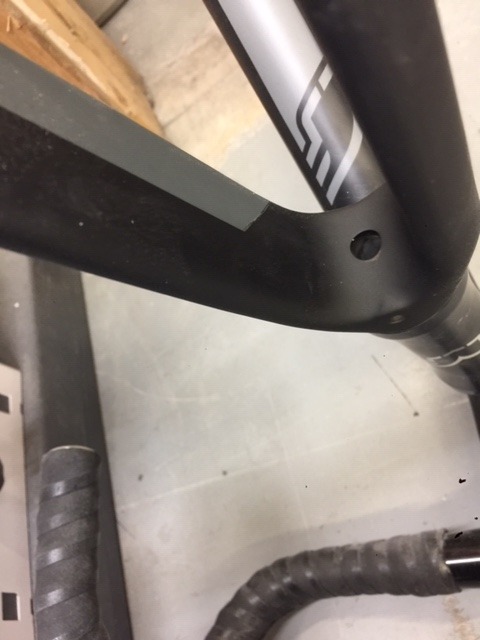 News Flash for 2019, CarbonWork is now the official carbon repair specialists elected to the National Cycling Centre in Hamilton, (NCCH) working to support the racing team by repairing carbon road bikes and working with the Manager/Head Coach Rick Lee. 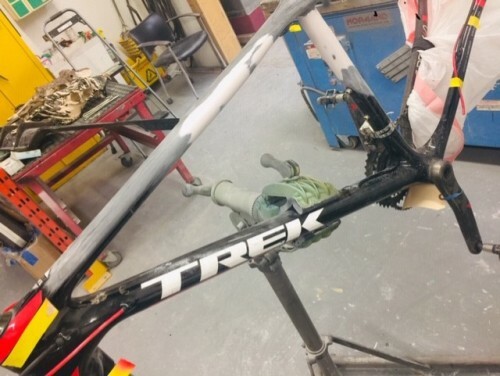 CarbonWork is also official carbon repair specialists to provide carbon repair services working with Scott Kelly, Chief Mechanic at Dundas Speed Cycle, supporting both National and Professional Teams, under the UCI, NRC, and Mountain Bike World Cups. 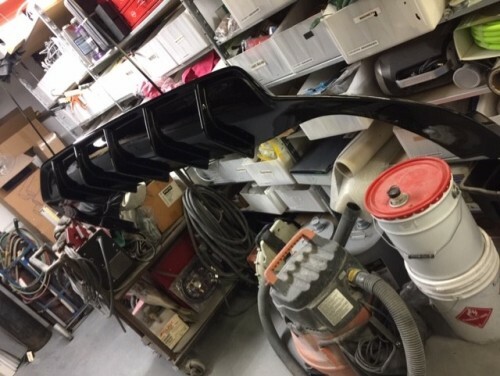 2) Macchina, Automotive Division: We offer after market repair re service and clear coat carbon fiber automotive parts and assemblies for Ferrari, Austin Martin, BMW, Mercedes, and other key automotive brands. 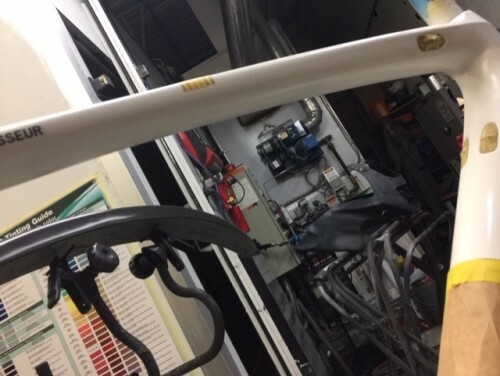 4) Barca, Marine Boat Division: We offer Electrical NDT testing services, repair and re finish carbon fiber yachts, masts, small and large marine boats to serve the marine division as well as carbon fiber canoes and kayaks. 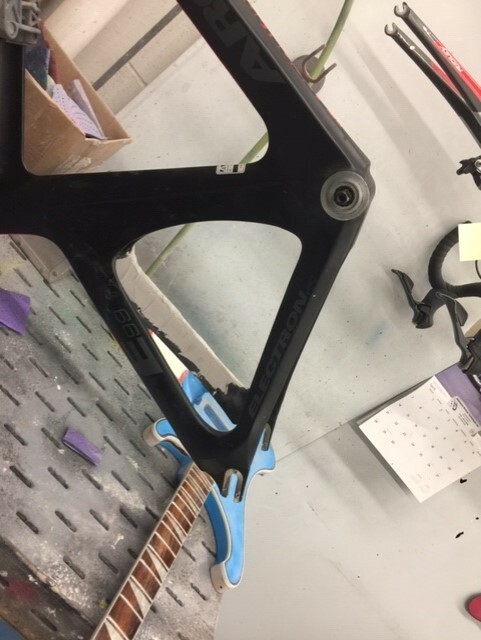 5) Carbon Composite Engineering Design and Manufacturing Division, We offer Structural Design prototype engineering solutions for the industrial, commercial, automotive, marine and medical device industry. 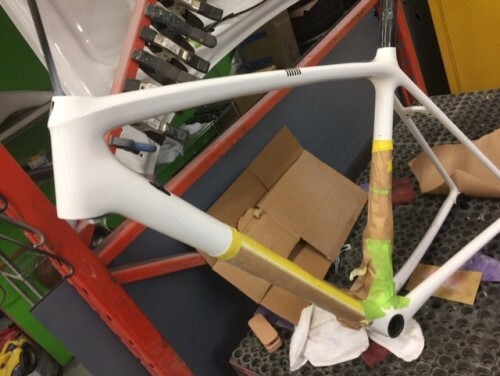 We provide engineering design testing, prototype build and Integrity testing as part of a total service solution. 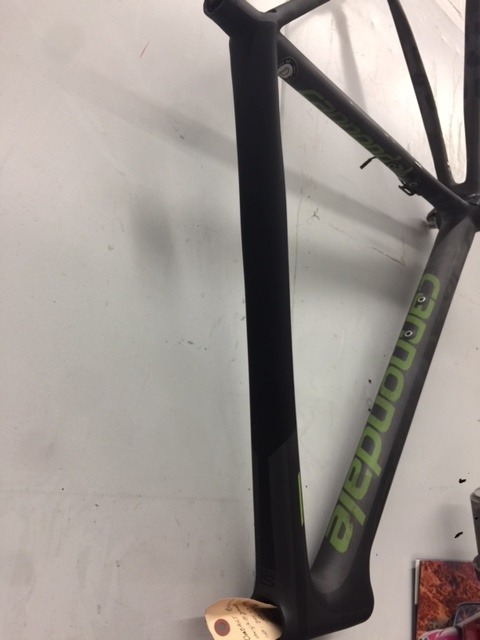 What is new in Carbon Fiber, we are starting to use Dyneema Carbon fiber with our Uni-Directional carbon fiber, this material is ultra lightweight with high strength to weight ratio. 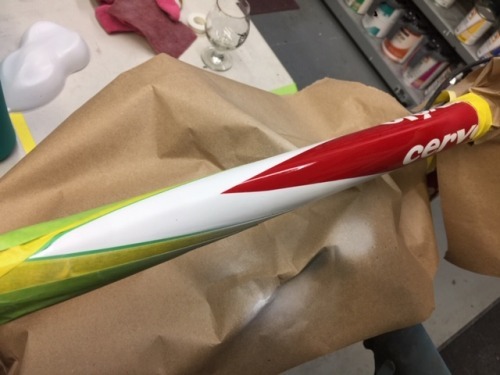 The material is comprised with Polyethylene plastic particulates and is very strong and durable. 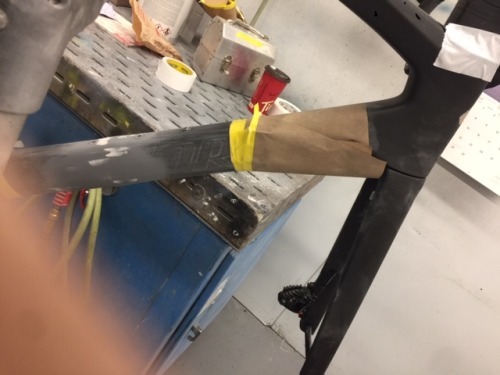 This Dyneema Carbon fiber combined with our uni-directional carbon fiber and nano epoxy will provide our customers with carbon repairs that are stronger than ever and more durable over time. 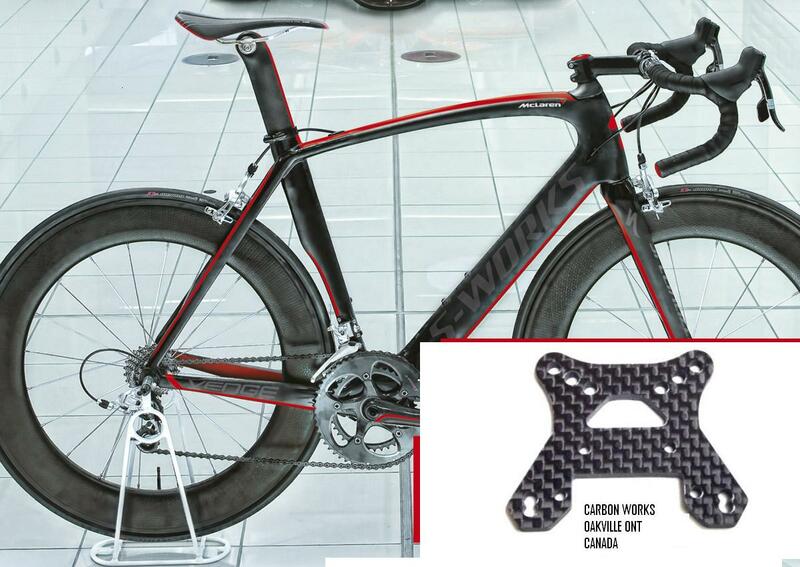 CarbonWork offers a life time warranty on all their repairs. 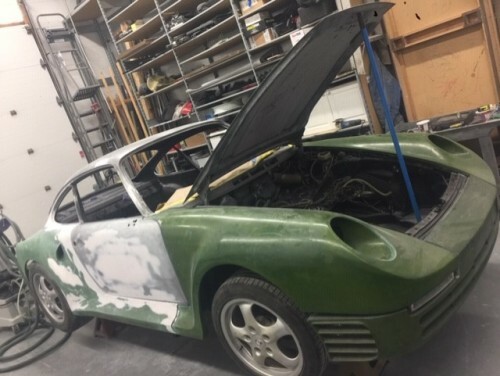 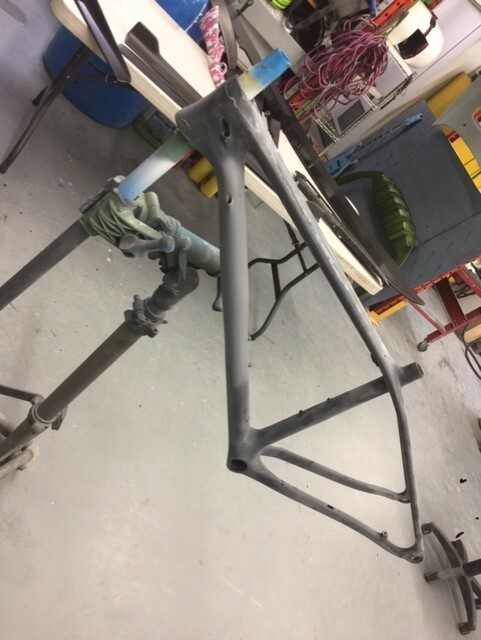 We are now entering the spring months for the 2019 season, we are now providing quick turn around on carbon repair and re finishing services, in most cases within 5-7 days and custom paint projects, clear coats and touch ups, factory decal replacements, for our customers across North America. 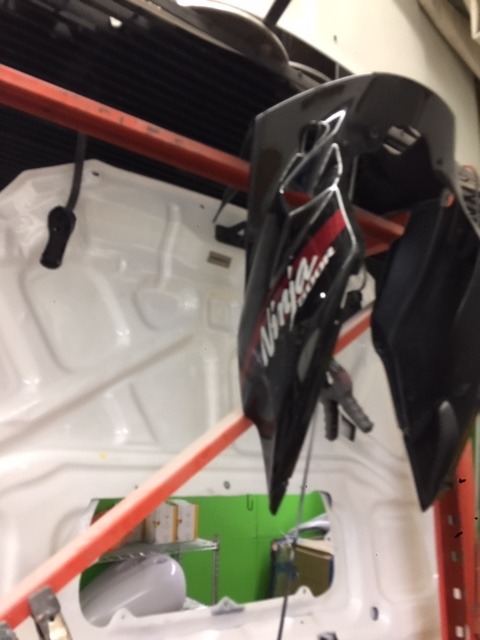 Now is a great time to book your custom paint project at CarbonWork with our state of the art paint booth facility and carbon re finishing all under one roof only at CarbonWork. 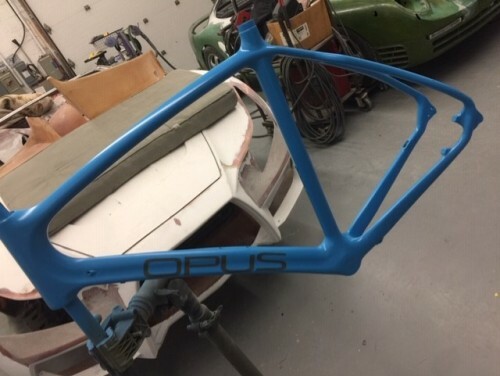 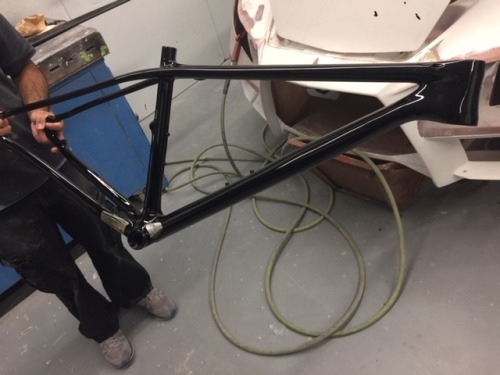 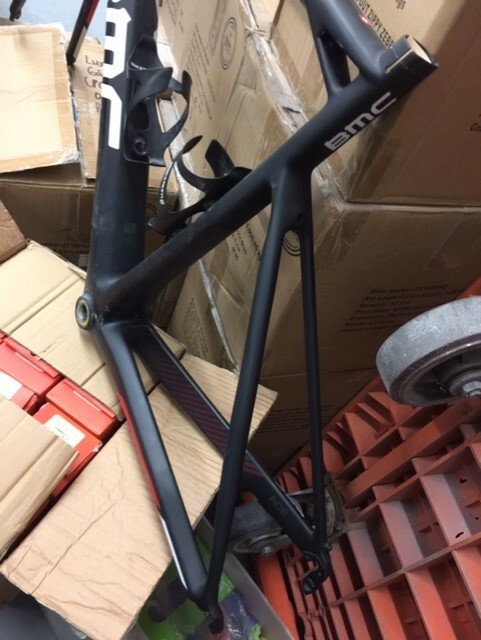 We now offer Complete Carbon Frame Restoration Package, Complete Frame Painting Service, or Factory Paint Match and Custom Frame Paint Projects. 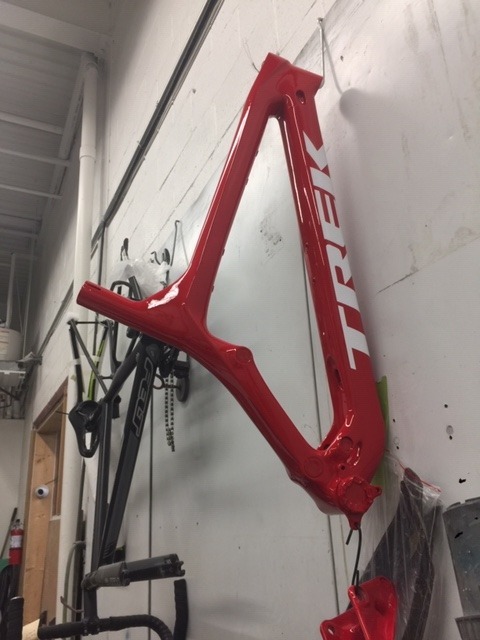 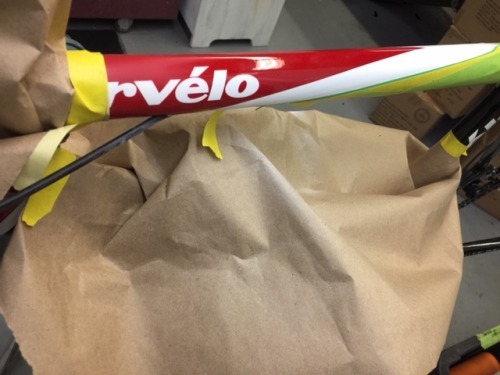 We are the only Bicycle Carbon Frame Repair and Custom Paint Shop in the industry with a quick completion time guarantee. 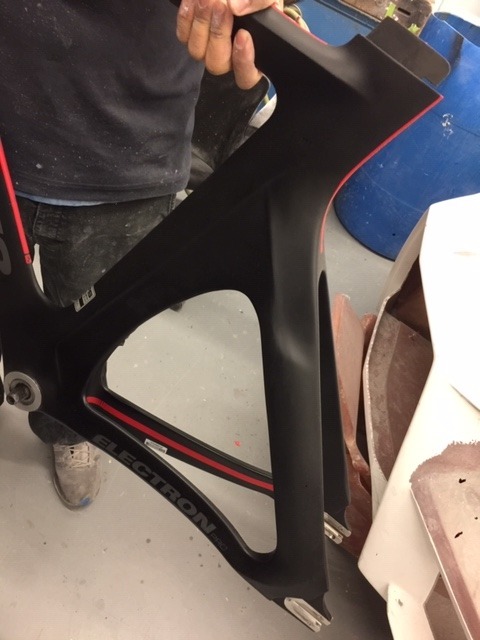 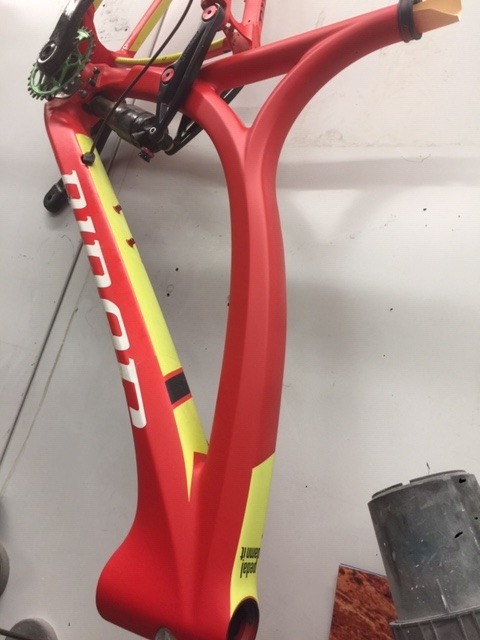 We also offer brand new painting technology called, Hydro-Graphic Liquid Carbon Print Services with 1500 film and print patterns for your bike which will transform your frame to nothing less then spectacular within 14 days. 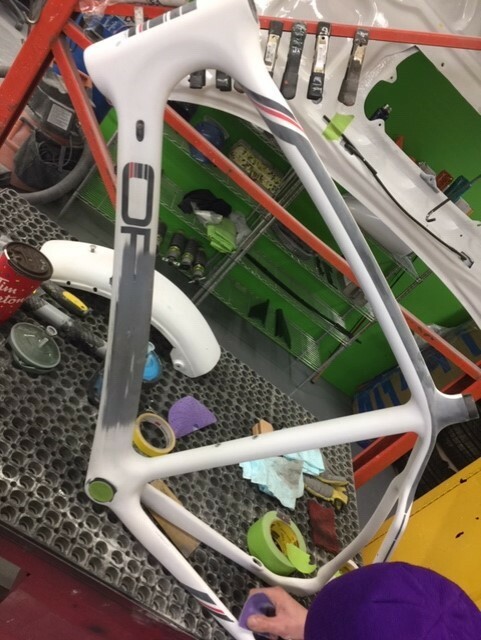 It will transform the ordinary into the Extraordinary with this one of the kind new State of the Art Paint Service. 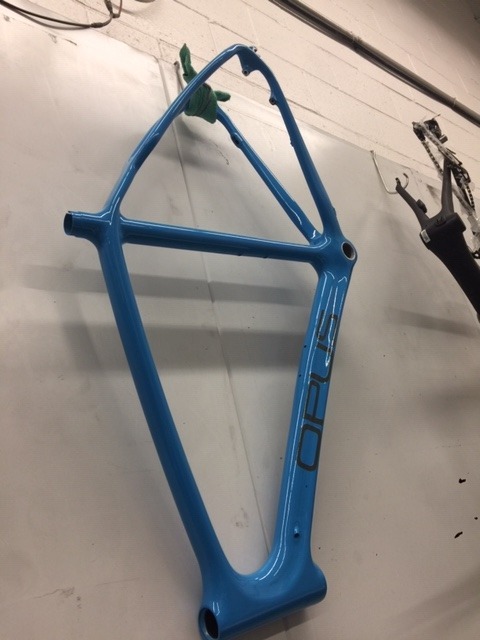 Our custom paint team can also add a ceramic clear coat a newly developed protection system which will provide that extra strength and durability for your newly painted bike. 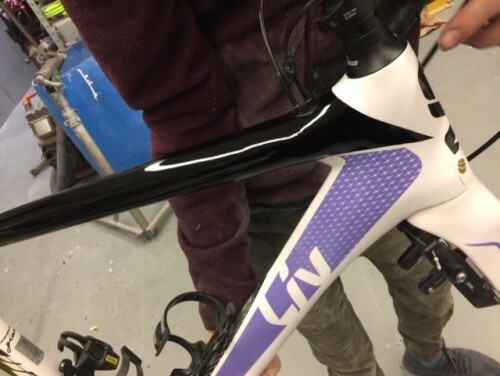 We can apply Professional Stickers and Decals for any Make or Model Bike Manufacturer around the world or produce your custom personalized decals and stickers. 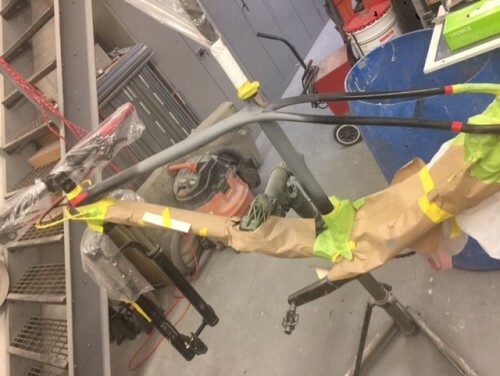 We serve clients across North America and also out of Province with Professional and Quick Repairs because we know you want to ride your bike as soon as possible! 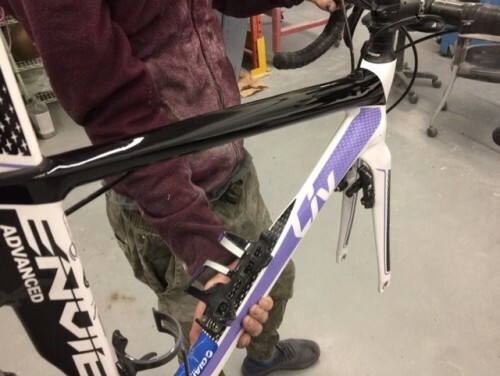 We are reliable professionals with over 30 years of experience in Carbon Fiber Repair on all Carbon Road Bike Frames, Wheel Sets and Accessories. 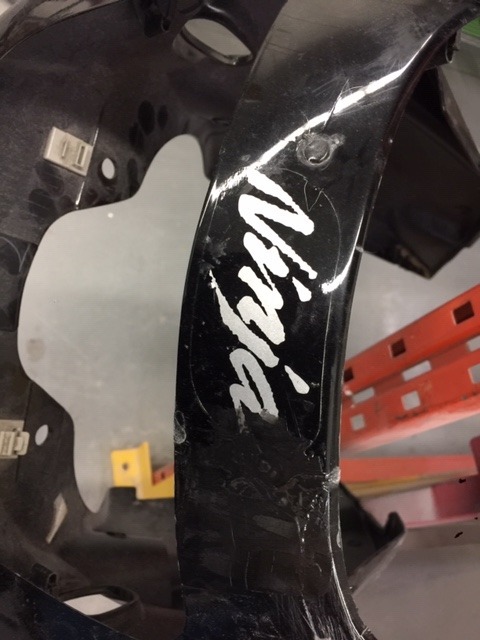 We listen to our customers and work with them to address their needs through innovative solutions. 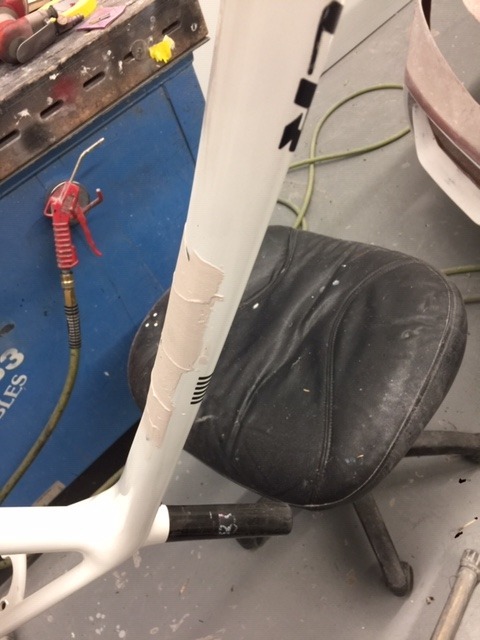 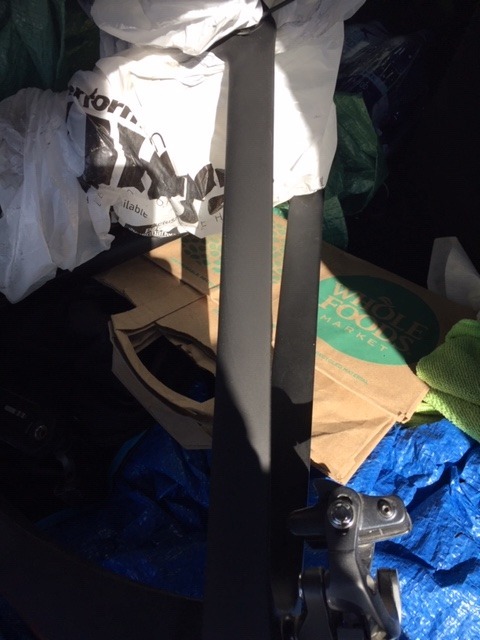 1st Step: Email Picture of Damaged Area. 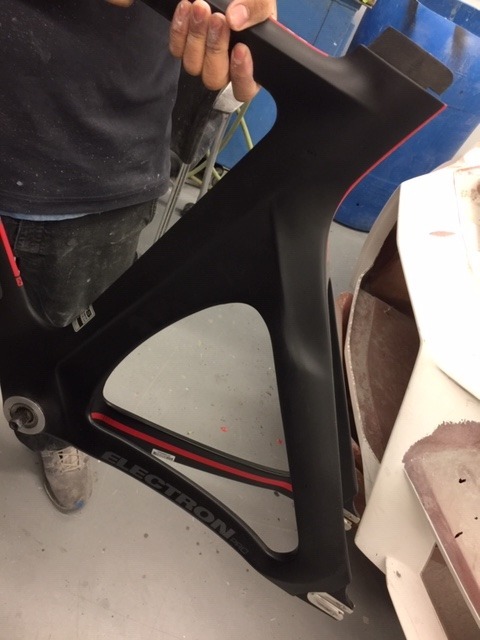 3rd Step: Send Carbon Component for Final Estimate and repair. 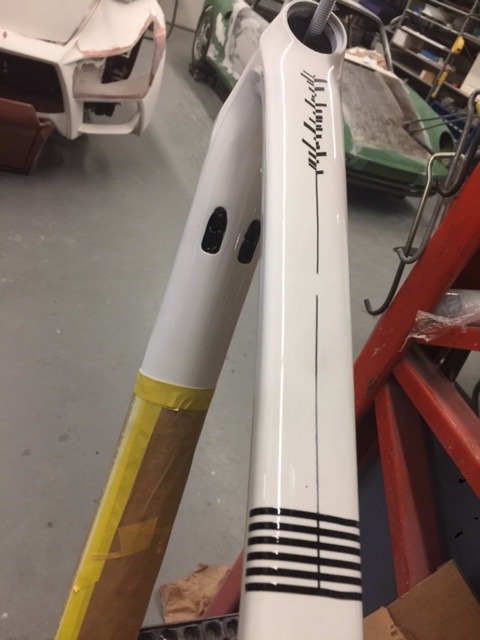 4th Step: We will provide final estimate of cost and date of completion. 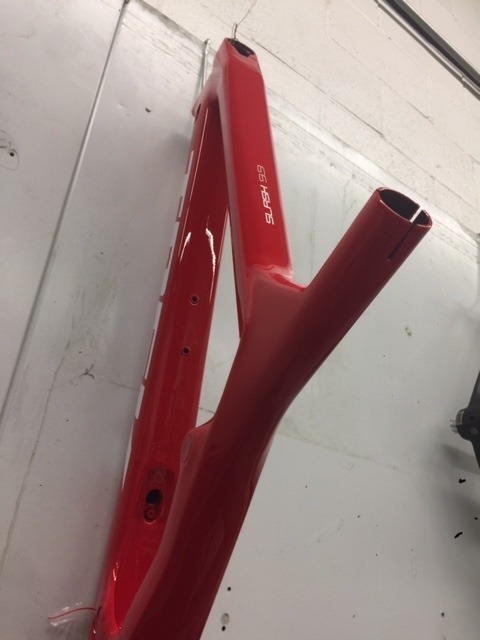 5th Step: Repair Carbon Component, add clear coat or re-paint, add decals to provide professional finish. 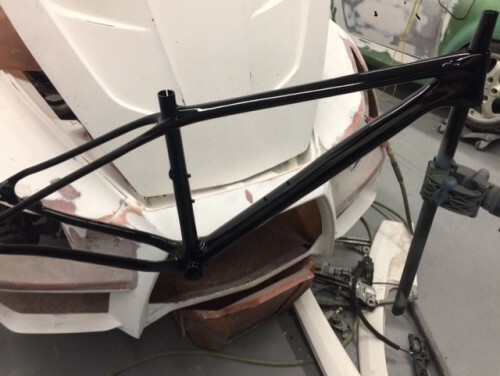 We initially started providing aftermarket carbon component parts in the automotive industry. 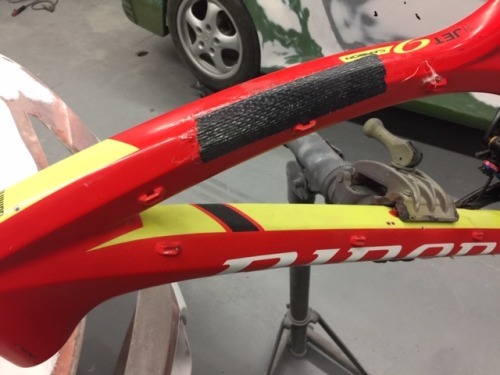 We are now offering our clients carbon fiber repair on various Carbon Components, Carbon Road Bikes, Motorcycles, Carbon Wheel-Sets and any carbon repair regardless of the application. 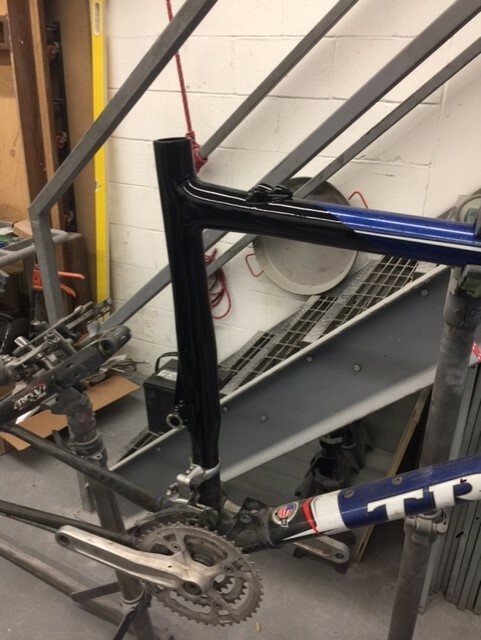 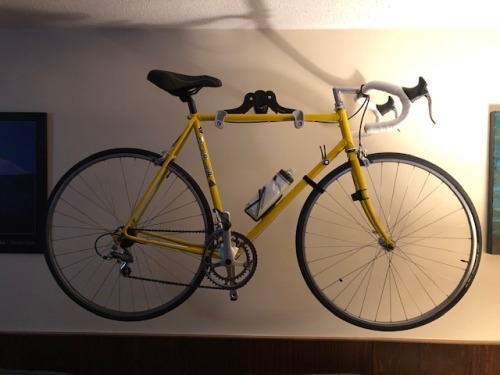 CarbonWork is the leading carbon repair specialists in Canada, that specializes in bicycle carbon repairs and custom, unique, paint services.